Are you a SOULopreneur longing to Help More People? Are you a solo-business owner, new speaker, performer, singer, or other heartcentered service based business owner that has a BIG message to share? Are you READY to be SEEN as the HERO you really are? You’re going to Discover exactly how to CREATIVELY express yourself in a way that COMPELS people to listen to you and learn from you. 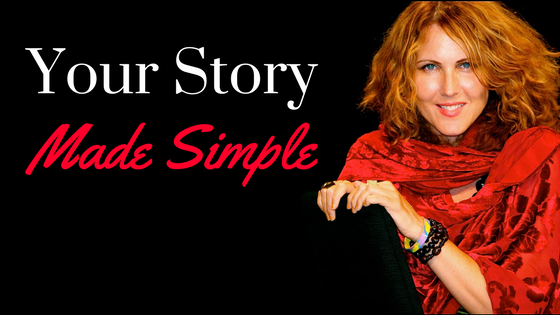 You’ll Learn how to stand out by SHARING YOUR STORY in a UNIQUE WAY, feel safe as you get more personal and make a BIGGER difference in the world. and how my clients have gone from being an extra in their life (bit parts/invisible & fearful) to taking center stage and becoming the Leading Lady/Man in their Life Story. Claim your spot as the Hero of Your Life & the INSPIRATION to Your Clients. Start at the Start HERE page and then look around the site. Teaching you how to stand out by using your creativity fully, vulnerably and powerfully. Email me directly through the CONTACT ME page on this website. If it has to do with letting go of your past, looking at your personal story so you can heal from it and stepping into your power by expressing yourself fully then I can help you. DON’T put up with another day of keeping yourself safe by not taking risks or going after your dreams. Hiding behind your mask. You don’t have to continue feeling sad and defeated. I can help you. I understand. I used to feel lonely, exhausted, unhappy with my body and depressed. My suffering got so bad that I didn’t want to live. Let alone tell my story. I didn’t think I could make a difference in anyone’s life. I didn’t feel good about myself. I lost everything I knew. I lost my entire family in one night. My self-esteem and negative inner voice wouldn’t allow me to fully go after my dreams . I couldn’t even ask a question in a group because I was so insecure and felt like I wasn’t smart enough to articulate what I wanted to say. I was afraid to be judged. This stopped me from really living! There are a several steps I did that led to turning everything around and I’m passionate about showing you how to too. I don’t want you to lose one more day! I went back to school to get my Master’s degree in Spiritual Psychology (where I learned how dis-empowering it was to continue to live as a victim to my personal story). I healed my self-judgement through forgiveness. I created and then performed my very personal one-woman show and took it on the road successfully- to the tune of now performing it and presenting my story live for over 11,000 people and many more through interviews. I started teaching people just like you how to forgive the past, make self-honoring choices, create solo-shows based on their lives and use their personal story in their business to get big bold results. I work with my dream clients (who live all around the world) through sessions by phone or Skype/ Zoom, through my virtual trainings which are available 24/7 on my products page or through the presentation of my critically acclaimed one-woman show, My Brooklyn Hamlet. I am also available to speak to groups and I lead workshops and webinars on Storytelling, Forgiveness and Solo-Performance.. I reconciled with my brother after a 6 year separation after our mother was murdered by my father (we are half brother and sister but grew up together) by using the same techniques I teach you in my Kindle book, My Father Killed My Mother and Married My Aunt: Forgiving the Unforgivable. My brother invited me to perform my solo-show based on my life story at a big theatre conference in Austria that he was hosting. After the show, while doing a Q & A for the audience together, there was an incredible moment of healing though art as it imitated life. I have been interviewed on Fox TV News (Hawaii) about my forgiveness work and I’ve been interviewed on NPR. Brenda Adelman received a best actor award from Zaki Gordan Institute for “Daddy’s Girl,” a short film based on her one-woman show, My Brooklyn Hamlet: A Meshugenah True Story, a best actress nomination at The Orlando International Fringe Festival and a Critics Pick at The Orlando and San Diego Fringe Festival. She also performed her critically acclaimed solo-show, My Brooklyn Hamlet for the Best of the Fest held by The Los Angeles Women’s Theatre Festival.. She’s performed MBH at The New End Theatre in London, The Jewish Ensemble Theatre in Michigan, Celebration Theatre in Los Angeles, The Marsh, San Francisco, for Coalitions against Domestic Violence in NY, AZ and NM, for women prisoners in Los Angeles, spiritual communities (Church of Religious Science, Center for Spiritual Living, Unity Church and Jewish Communities) in HI, CA, AZ, and OK, at theatres, women’s groups, for college students and faculty in NY, AZ, MI and HI, for the US Air Force and at International Theatre Festivals in England and Austria. She is the recipient of a Hero of Forgiveness award from The Hawaii International Forgiveness Project and has been interviewed on Fox TV morning news and NPR. Passionate about helping people live better lives, Brenda is also a life-coach focusing on the power of forgiving the unforgivable and teaches SOULOpreneurs how to craft and share their story for Big Impact. 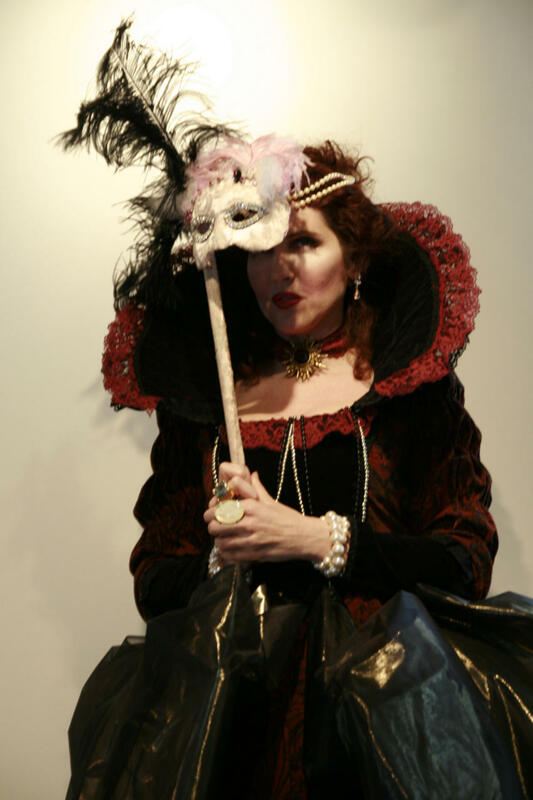 I highly recommend Brenda Adelman’s one woman show “My Brooklyn Hamlet.” Not only is she a very talented performer, but she is a great healer as well. Through a deeply tragic event in her own life Brenda compassionately brings us to the power of forgiveness. She is witty, sensitive, insightful and totally open to the movement within her own soul. For several days afterward I was pondering my own inner process around betrayal and forgiveness. You will laugh, you may cry and you will certainly gain a deep experience of the power of forgiveness in your own life. See the show!! !